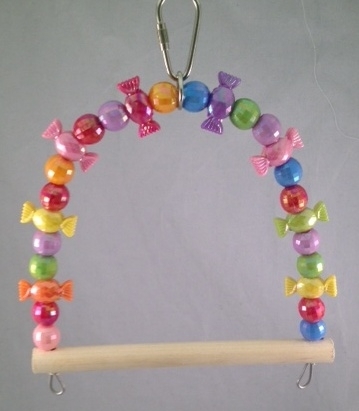 A 6" x 1/2" diameter perch adorned with a ring of super sparkly disco beads and sparkly candy beads. 6-1/2" high. Suitable for small-sized birds.